While many other approaches to psychotherapy begin their journey with you on the basis of WHAT'S WRONG with you, we Af-x practitioners are keen to start from the position of WHAT'S RIGHT with you. Because of the highly influential system of 'diagnose first' employed by modern medicine and psychology, we lose sight of the vast range of positive attributes that are in-built within us. _There's a lot of talk in therapeutic circles (and always has been) about getting to the source of a problem - getting to the 'root cause'. As you go further in this website - and we hope you will - you will discover that science has found that most of these 'sources of our problems' are driven by even more subtle affect initiators (feeling causes - the emotional cause). So, affectology and Af-x therapy are concerned with a rehabilitation of deeper emotional causes that have originally started the unconscious process that eventually leads to many of the symptoms and problems we see in therapy today. Consequently, Af-x focuses on cause rather than symptom - affect initiator rather than the immediate problematic issues you may be experiencing today. But that said, it must be emphasized that Af-x is NOT a regressive therapy that seeks to uncover the 'story' buried in the past. It is about re-tuning and starting an adaption to the present - and the influences that older patterns have over who and how we are today. _We are all prisoners of our deepest belief systems that relate to who and how we are. These beliefs have been solidified within our subconscious from very early developmental times. 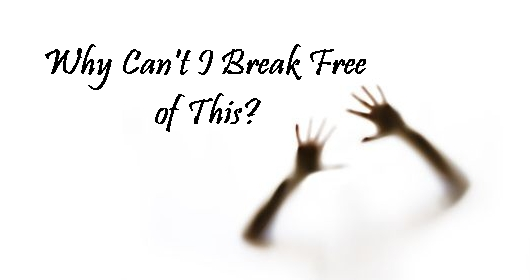 "Breaking Free" can be as simple as 'reframing' those affect learnings in the way that Af-x guides you. 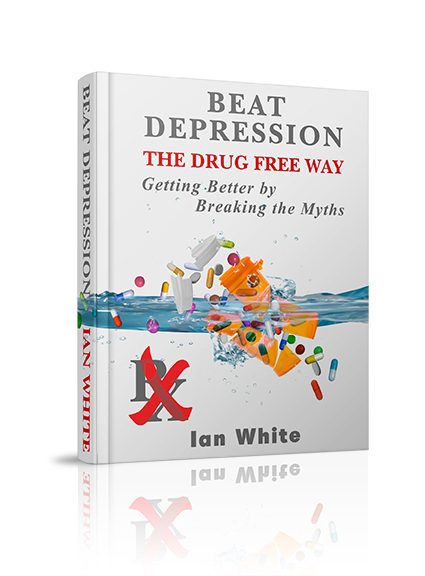 The importance of a positive change to your self-belief system is described in detail in the book, Beat Depression the Drug Free Way. __ Ex-clients of Clinical Affectology and Af-x have reported success in dealing with a wide variety (and often a combination) of Psychological, Behavioral and Emotional symptoms. This also includes many Physical symptoms. This is hardly surprising when we take into account the scientifically proven relationship between our physical bodies and our individual emotional matrix (how we learned to unconsciously respond to things at emotional level). Our underlying affect (feeling or emotional) response patterns have a direct impact on the state, wellbeing and balance of our physical bodies. The parts of our brains that are activated when we feel an emotion, automatically signal our Autonomic Nervous System (ANS) which then sends chemical messages throughout our bodies. The ANS controls every organ and physical sub-system (respiration, circulation, metabolism, hormone and immune systems) and allows us to respond without thinking to our situation, including any threat or danger. This is an unconscious protective mechanism. So as an example when you feel "anger", your breathing becomes shallow and fast, you feel flushed and sweaty, your heart pounds, your muscles tense up and you feel a tightness in your stomach. In addition to this, the ANS is also structured to maintain physical balance. When the situation that made us "angry" has passed the ANS automatically re-balances or re-tunes those bodily sub-systems that were signaled to respond and work overtime. However, when unconscious affect response patterns learned early in life - that are no longer useful or protective - are constantly stimulating our ANS we can develop an emotionally caused physical imbalance. Because of the constant inefficient functioning of important bodily systems we can then develop a wide variety of physical symptoms that don't appear to have any organic cause. These are frequently referred to as psychosomatic and can often be successfully treated with Af-x therapy. As well as resolving the underlying cause of the symptoms listed below, many clients report that their general sense of wellbeing and sense of self-worth continues to greatly improve after their Af-x sessions. This includes an increasing number of clients who are presenting with just a general feeling of "something's not right" that they find hard to explain. While one of the unusual but important aspects of Af-x and Clinical Affectology is that no mention is made of current symptoms in sessions, (and as a consequence, you would be right in asking, "Well, how do you know what you're treating?"). A long history of feedback studies with clients has revealed that Af-x is highly suitable and successful in the treatment of a raft of problems and issues; physical, mental, emotional and attitudinal. This information is offered by clients themselves following successful session work. So let's look at some examples of the types of symptoms that have been shown to be suitable. Additionally, you can read some testimonials that may cover these areas here.